1. Think happy = feel happy. Many times I’ve got to the end of the day and not felt very positive but, making myself think of three good things from that day has helped me feel better. 2. Friends and family have formed the majority of the posts. It doesn’t take much to make a little happiness, and money doesn’t really come into it. 1. A run out along the ‘chemical blanc’ paths between the cognac vines. I get a bit lost and my phone battery nearly goes but the scenery is stunning. 2. 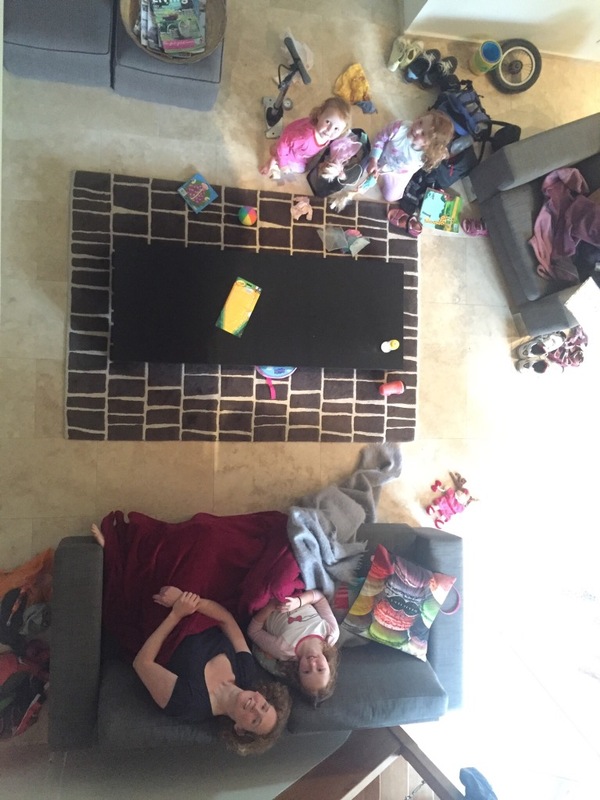 A shot from the mezzanine of the ground floor, the house is truly lovely – old on the outside and very modern inside. 3. 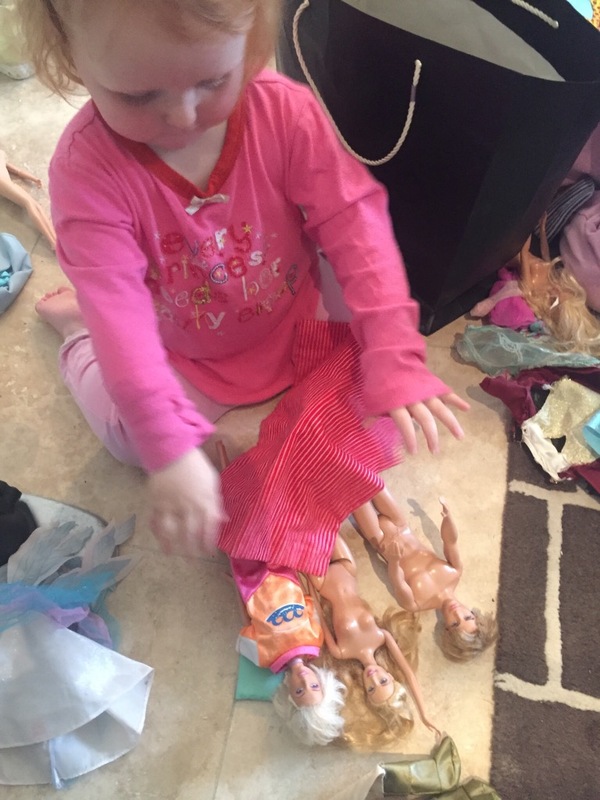 Our hosts lends the girls a big bag of his girls’ old barbies. 1. 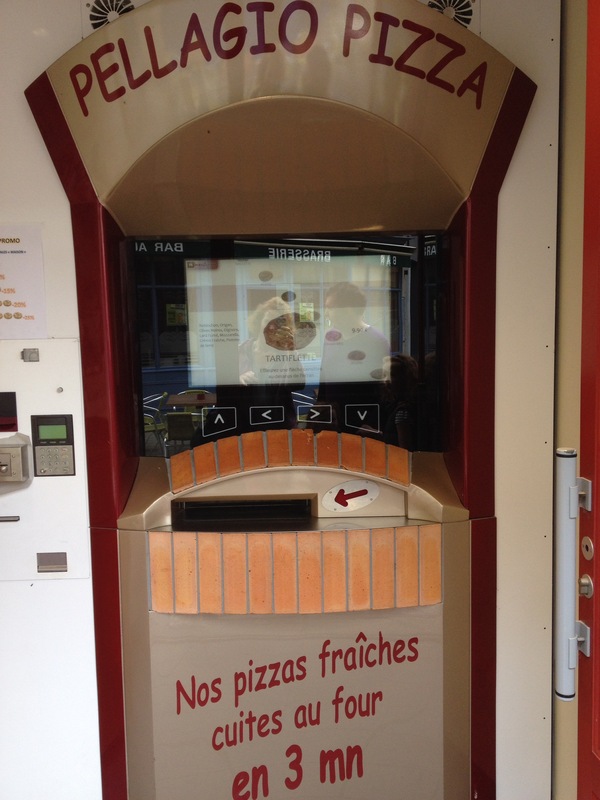 We spy this pizza ‘vending’ machine in Normandy – genius. 2. 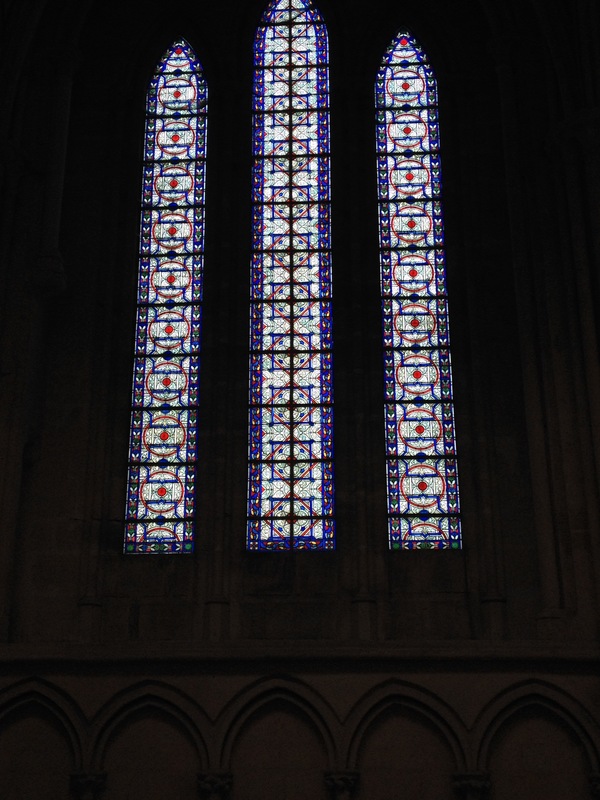 A lovely window in the silence of the church. 3. A tea time arrival at Bois Blanc and supper (and wine!) is all ready in the fridge.